The journal Applied Surface Science has introduced the Frans Habraken Best Paper Award in 2014, in memory of Professor Frans Habraken, who served as an Editor of Applied Surface Science from 1998 to 2011. 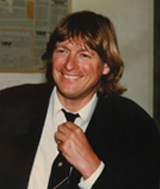 Frans Habraken was professor of surface science at University of Utrecht, NL, and served as an editor for Applied Surface Science from 1998 to 2011. The award will be presented to a young author who has published a paper of exceptionally high quality in Applied Surface Science. Academics are encouraged to nominate a young first or corresponding author of a paper published in Applied Surface Science in 2013. Be the first or corresponding author of a paper published in Applied Surface Science in 2013. Aged 30 years or younger when the manuscript was submitted. a brief description (less than 400 words) of the contribution the young author made to the paper and the reasons he/she deserves this award. The jury consists of the editors of Applied Surface Science and is headed by the Editor-in-Chief, Prof. Dr. H. Rudolph. Selection criteria are novelty, originality, readability and scientific importance. Nominations should be submitted to Dr. Liliana Birla, Managing Editor of Applied Surface Science. The award consists of a certificate and EUR 1,000.